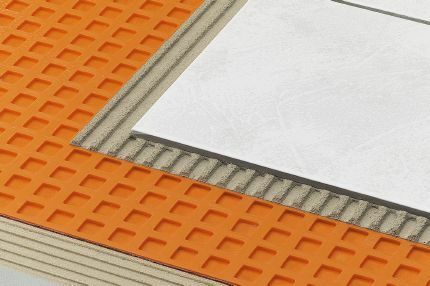 Schluter®-RENO-U is designed to provide a smooth transition between tile coverings and floor coverings at lower elevations or finished concrete. The profile is available in stainless steel, solid brass and anodized aluminum. 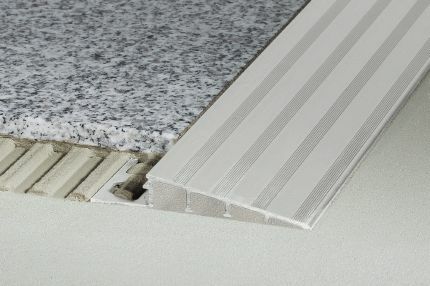 RENO-U features a trapezoid-perforated anchoring leg, which is secured in the mortar bond coat beneath the tile, and a sloped surface (approximately 25°) that eliminates trip hazards and protects tile edges. The leading edge of the profile abuts the lower surface covering, typically VCT. RENO-U, in aluminum, features an integrated joint spacer that establishes a defined joint cavity between the tile and the profile. In installations where the leading edge abuts a lower surface covering, all sizes of RENO-U, except the 3/4" (20 mm) and 11/16" (17.5 mm), are compliant with the Americans with Disabilities Act (ADA). 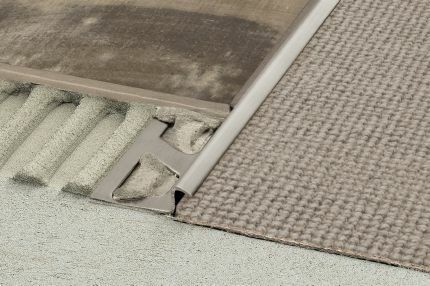 In installations where the leading edge rests on top of the lower floor covering (e.g., finished concrete), the 3/4" (20 mm), 11/16" (17.5 mm), and 9/16" (15 mm) sizes are not ADA-compliant. 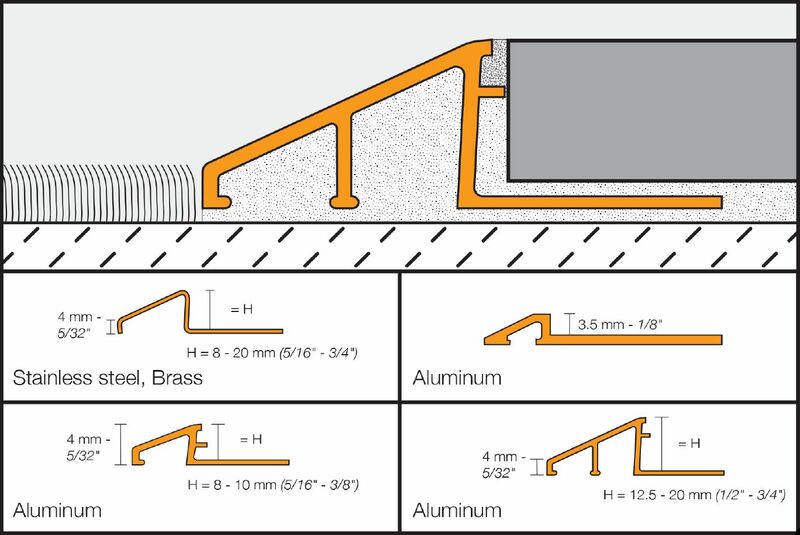 Note: When using Schluter® uncoupling membranes with RENO-U, factor in the thickness of the membrane over the anchoring leg when selecting the profile height. 2. Fill the cavity beneath the sloped section of the profile with thin-set mortar. 3. Using a notched trowel, apply thin-set mortar to the area where the profile is to be placed. 4. Press the perforated anchoring leg of the profile into the mortar and align. 6. Solidly embed the tiles so that the tiled surface is flush with the top of the profile; the profile should not be higher than the tiled surface, but rather up to approx. 1/32" (1 mm) lower. 7. 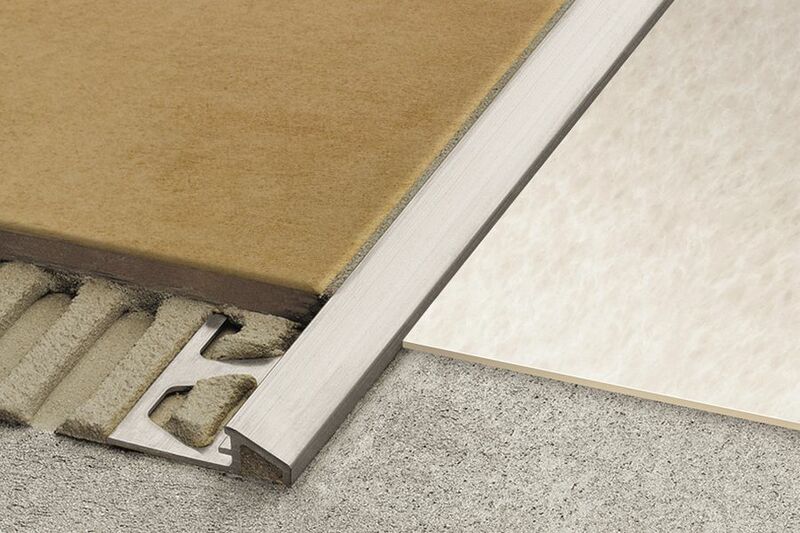 Set the tile to the integrated joint spacer, which ensures a uniform joint of 1/16" - 1/8" (1.5 - 3 mm). With the stainless steel profiles, leave a space of approximately 1/16" - 1/8" (1.5 - 3 mm). 9. 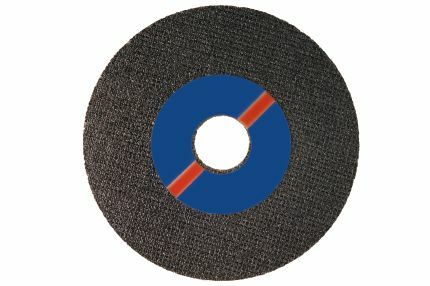 Remove grout or mortar residue from the visible surface of the profile. 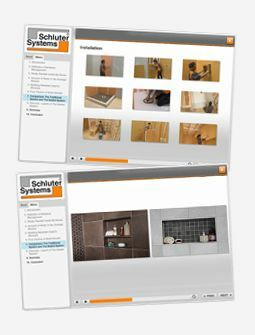 The Schluter®-RENO-U profile requires no special maintenance or care and is resistant to mold and fungi. Clean profiles using common household cleaning agents.